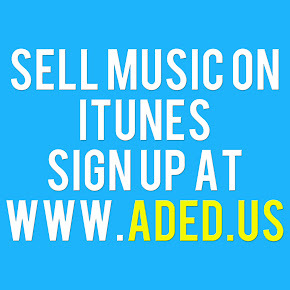 Sign up for a Package A (Premium Subscriber) account via ADEDistribution's blog. Create a zip (or rar) folder file containing your music mp3s/wavs and a large album cover image. Upload the zip/rar to a file hosting site like Mediafire, SendSpace, or HulkShare. Fill out their Submit Music form and on the section labeled A&R Recruiter Promo Code type SOUNDCLOUD and you will be given a $3 discount (the full fee) on the distribution cost of your first album or single. The company has referred to this as a "win-win-win" scenario that will benefit SoundCloud, SoundCloud users, and ADEDistribution. Being that there are well over 10 million SoundCloud users, it's easy to see a shift in the way the general public chooses to ingest their music. Major labels would love to have us all feeding from their tube but saner heads, including the minds of those at SoundCloud and ADEDistribution, have prevailed and offered an outlet of self discovery for musicians and listeners alike. If I were to refer to a song quote from the past for all intensive and cliche purposes in an effort to describe this moment, it would be En Vogue: "Free Your Mind, The Rest Will Follow..."